What is Divorce Mediation? Is it Therapy? The field of divorce mediation is becoming more widely understood and used because it is both an economical and kinder way to end a marriage. When a couple comes to the unhappy realization that continuing in their marriage is no longer an option, they are faced with several choices for finalizing the arrangements that must be made, whether for a legal separation or a final divorce. Each party can retain their own attorney to represent them in court, or, they can collaboratively work out of court with two attorneys to negotiate a settlement agreement. But yet there is another option for couples who believe they can and want to cooperatively make their own decisions about how to parent their children and how to divide their assets/debts – divorce mediation. The benefits available by starting first with divorce mediation will save couples money, time and aggravation. In mediation, a third-party neutral mediator guides the process but all decisions are negotiated and made by the parties. The couple moves at the speed that works for them, and often it is faster than the divorce court process. At the end of the mediation process, the mediator provides the parties with a written Memorandum of Understanding that they can submit for attorney review prior to filing as a settlement agreement with the court. In the parlance of therapy, it is within us to know how to heal ourselves. Mediation provides the safe space to begin the process for each party to discuss and plan what the future can look like, especially for families with children. Mediation is the opposite of adversarial. The promise of mediation is that it represents a more peaceful, cooperative way for couples and families to emerge from the darkness of separation and divorce to the brighter future available. By working and making decisions together in mediation, couples set up a communication pipeline that can serve them well as they cross the divide from married to not-married. 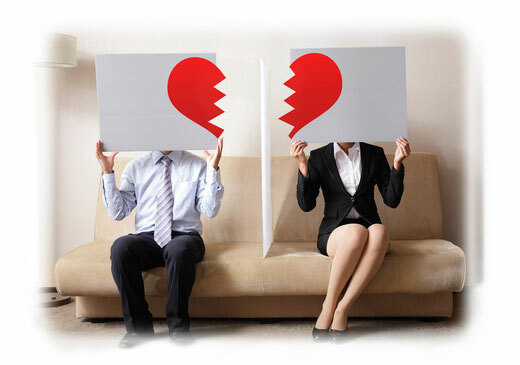 Is divorce mediation therapy? No, but it can be therapeutic. Thoughts or comments? Email me at tbj@trishmediates.com.